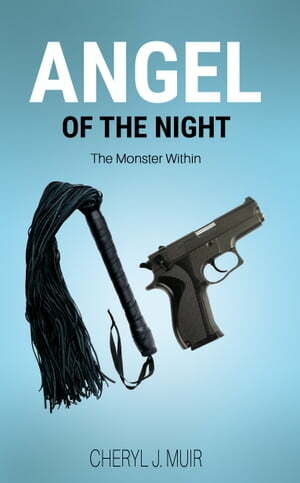 Collins Booksellers - Angel of the Night: The Monster Within by Cheryl J. Muir, 9781910832523. Buy this book online. In Angel of the Night: The Monster Within, we follow a feisty assassin who works for Frankie Cucinotta, a cruel and dangerous crime lord. Angel stalks the dark streets of Rale in the early hours of the morning, using her sexuality as a weapon to extract information from her targets. Angel is tasked with abducting renowned entrepreneur Devon Fairweather, who is accused of setting up a raid at Rale National Bank. However, Angel soon realizes Devon is innocent and takes pity on him after his capture. Angel’s interrogation of Devon is intense and highly charged, and reveals a hidden kink suppressed by the seemingly ordinary financier. When Devon’s life is threatened by Cucinotta, Angel secretly becomes Devon’s protector. The enigmatic assassin learns to trust the financial mogul, and Devon vows to take down Cucinotta and free Angel from his clutches. But can the straight-laced businessman outsmart the seasoned mobster? Or will Angel be forced to save herself yet again?